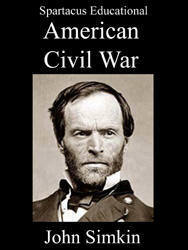 Edmund Kirby-Smith was born in St Augustine, Florida, on 16th May, 1824. He studied at the U.S. Military Academy at West Point and after graduating in 1845 saw action in the Mexican War (1846-48) and against Native Americans. 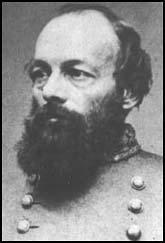 On the outbreak of the American Civil War Kirby-Smith joined the Confederate Army and by June had reached the rank of brigadier general. 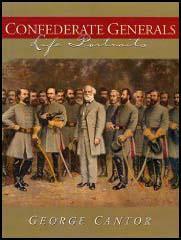 In July, 1861, Abraham Lincoln sent Major General Irvin McDowell to take Richmond, the new base the Confederate government. On 21st July McDowell engaged the Confederate Army at Bull Run. The Confederate troops led by Joseph E. Johnston, Thomas Stonewall Jackson, James Jeb Stuart, Jubal Early, Braxton Bragg and Pierre T. Beauregard, and Kirby-Smith easily defeated the inexperienced Union Army. Kirby-Smith and his Confederate Army made progress in Kentucky and reached Covington in September but was halted by Union troops led by General Don Carlos Buell. 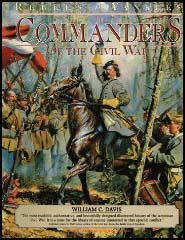 He fought at Perryville (October, 1862) and Stones River (January, 1863) in February was given command of the Trans-Mississippi Department. In July, 1863 Ulysses S. Grant captured Vicksburg. The western Confederacy was now completely isolated from the eastern Confederacy and the Union Army had total control of the Mississippi River. Kirby-Smith was now isolated and saw little action except defeating the Union Army led by Nathaniel Banks at Red River in April, 1864. He formally surrendered his forces at Galveston, Texas, on 2nd June, 1865. After the war Kirby-Smith was president of the University of Nashville (1870-75) and taught mathematics at the University of the South (1875-93). Edmund Kirby-Smith died in Sewanee, Tennessee, on 28th March, 1893.